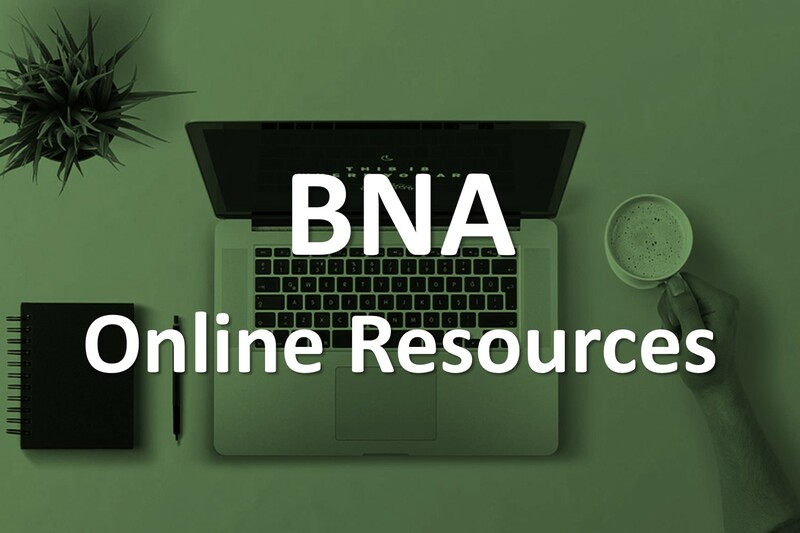 Welcome to the BNA's teaching resources! Here you will find a curated list of free online resources to help you teach neuroscience concepts in the classroom or revise at home. Furthermore, these resources are linked to specific points on your Biology syllabus to assist you in pinpointing exactly where they fit in. Scrolling down you will find out what the Core Concepts are, how to use the syllabus table and the online resources themselves. To begin, why not watch our short introductory webinar or download our explanatory flyer today! If you have any feedback or questions, please don't hesitate to email office@bna.org.uk. 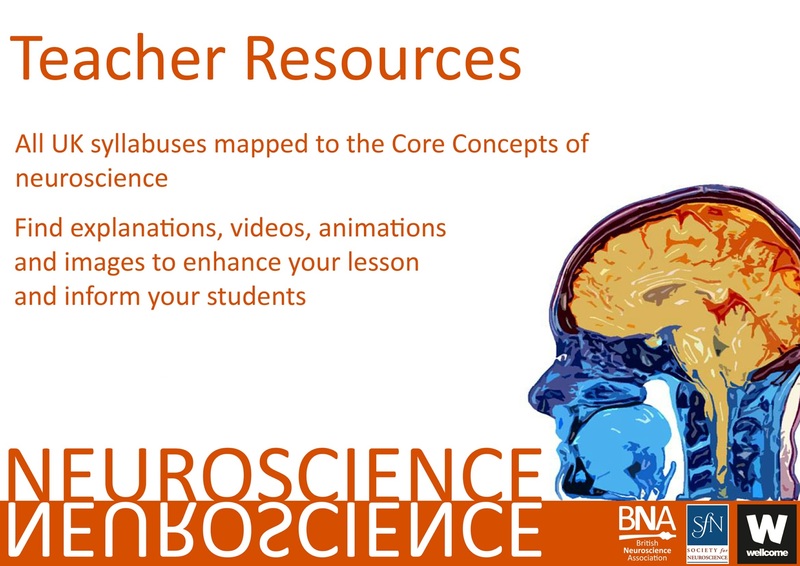 How can the Neuroscience Core Concepts help you and your students? The neuroscience Core Concepts were first developed in 2007 by the Society for Neuroscience (SfN) with consultation from hundreds of neuroscientists and educators across the US. The outcome of this collaboration was the birth of 8 fundamental principles that one should know about the brain and nervous system. 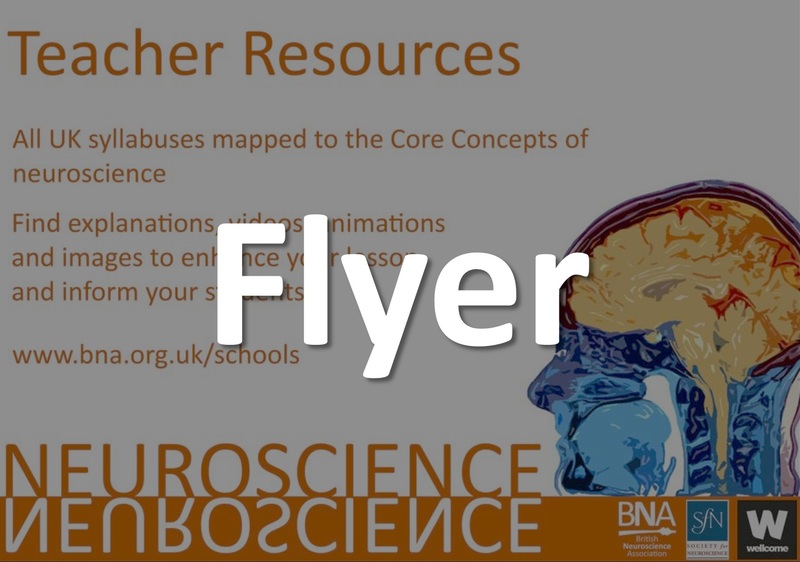 In 2017, The British Neuroscience Association (BNA) mapped these 8 neuroscience Core Concepts onto every Biology syllabus in the UK, including GCSE, A-Level, National 5s, Highers and Advanced Highers. Therefore, teachers and educators can now explore where neuroscience-related syllabus content fits into these fundamental principles. Supporting these mappings, the BNA has curated a list of useful, relevant and free resources to aid in teaching this material. The curated list of online resources can be found by following the links on the syllabus PDFs or by clicking here. Please check each resource individually for terms and conditions of usage. 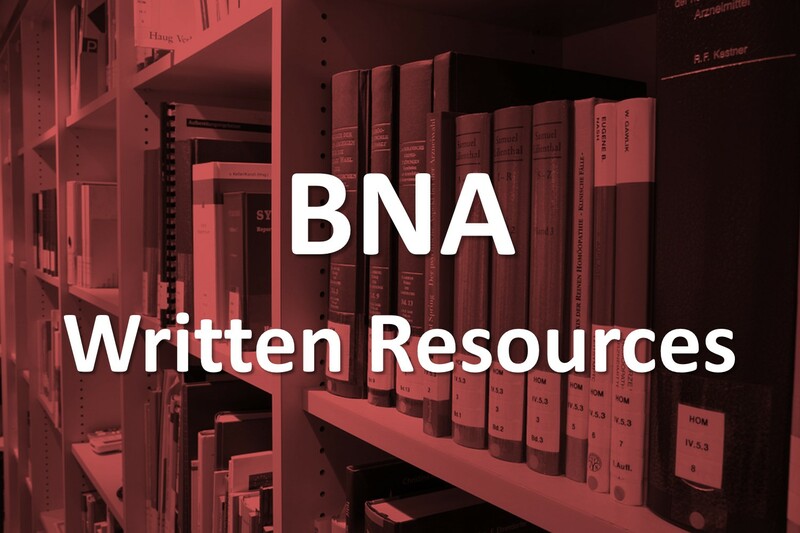 Additionally, the BNA has an updated list of interesting written and online resources on its website. These include a useful background to neuroscience concepts - 'Science of the Brain: An Introduction for Young Students' - and a wide range of links to youtube channels, science websites and podcasts! The Society for Neuroscience (SfN) provides an excellent resource of animations, videos, images and explanations on their newly refurbished brainfacts.org website. Here, you will also find the all-new interactive 3D brain model. Flip and rotate the brain to explore the different regions and bring a new interactive element to your teaching. To stay updated with the latest neuroscience news and events, sign up as a member. Additionally, we welcome student members from the age of 16 for the price of £1 per month. See bna.org.uk/about/membership for details. 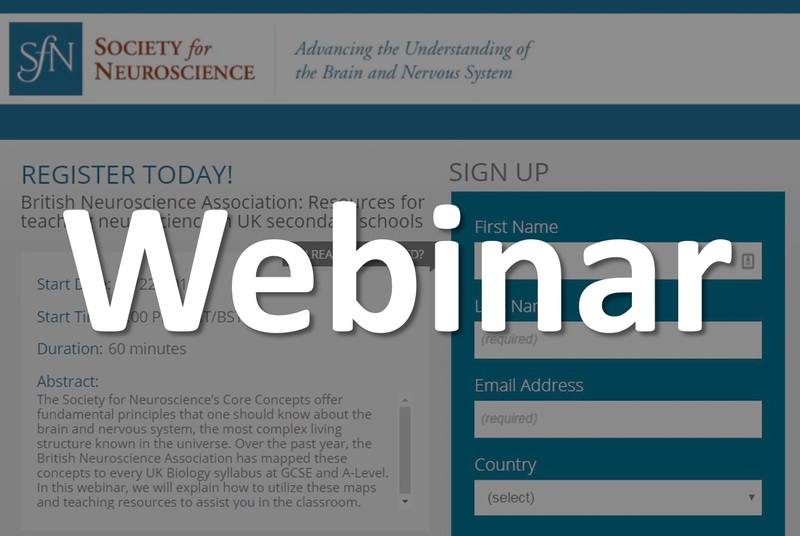 The UK adaptation of the neuroscience Core Concepts was made possible through collaboration between the British Neuroscience Association (BNA) and the Society for the Neuroscience (SfN). This project was kindly funded by Wellcome. With special thanks to the UK working group - Narender Ramnani (Project Lead), Anne Cooke, Alex Collcutt, Mark Ungless, Jane Haley, Richard Wingate, Mark Souter, Megumi Sano.